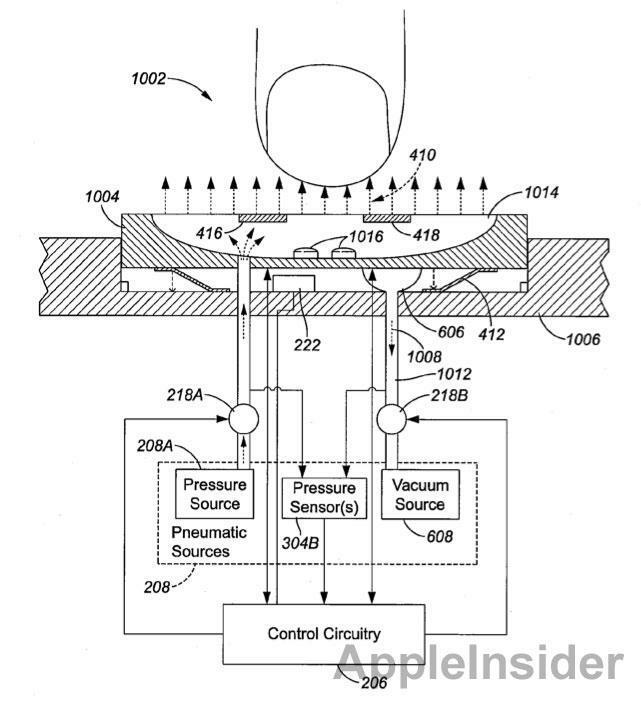 Apple has shown interest in creating an advanced keyboard that could provide tactile feedback to users through the inclusion of numerous proximity sensors and air vents on individual keys. The concept was revealed this week in a new patent application published by the U.S. Patent and Trademark Office and discovered by AppleInsider. The filing, entitled "Input Devices and Methods of Operation," notes that as physical keyboards get smaller and more compact, they may not offer the same typing experience users prefer. A smaller keyboard might limit the tactile feedback a user feels on their fingertips while typing. This is as a result of keys that do not travel as far when pressed on, say, a much thinner keyboard. Apple proposes addressing this issue by placing proximity sensors in each key on a keyboard. These sensors could be used to detect when user input on a key is imminent. The patent filing describes a system that would "flow air from the input device," perhaps through openings in the surface of an individual key on a keyboard. This would provide tactile feedback to the user before they make physical contact with the key surface. This air pressure could be used to apply air pressure against a user's fingertips, giving tactile feedback even though the key may not move as much as a key on a more traditional keyboard. 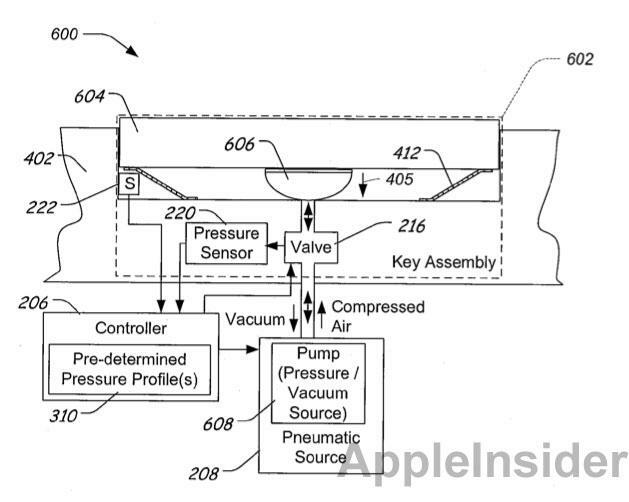 In another example, Apple describes a pneumatic system that would be used to "advance the selected key in a direction of actuation in response to detecting user selection." Through this method, the key would be "pulled away from the user." Apple also proposes combining these two methods in a keyboard that would provide initial air resistance to movement of a user's fingers, and then withdraw a key from the user's touch. The application, made public this week, was first filed in November of 2009. The proposed invention is credited to Aleksandar Pance, Michael Sinclair, and Brett Bilbrey.